I don’t think I’m a big deal, but apparently it’s kind of novel to be a fat woman who rides bikes, camps, has fun and doesn’t apologize for it. Here are a few stories that have been done either about me, or that I’ve actively participated in. This site normally features information about training tips, nutrition, the professional peleton, and other resources. They took a risk with my story and it seemed to be well received. 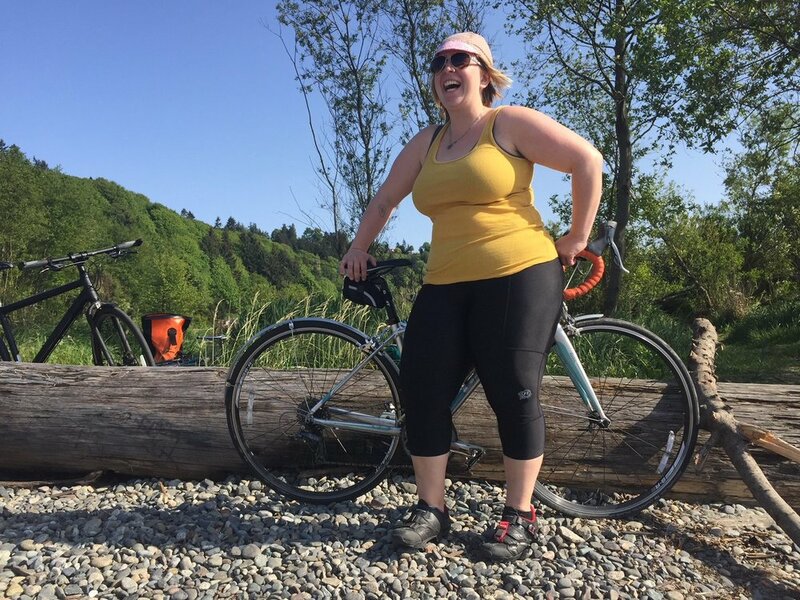 Another feature by Ella Cycling Tips, this article was about the #withthesethighs project. This was a fun interview and helped widen the audience who was exposed to the project. This fun interview by fellow lady-cyclist Olivia Round was super fun! She asked all sorts of thought provoking questions, and truth be told, her other writings on her site are way better than my interview!